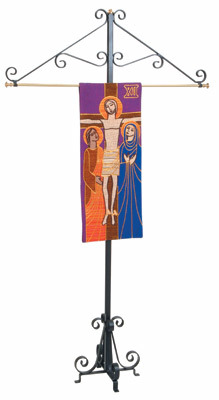 Telescopic banner stand extends from 5 feet to 8 feet high, 14" Base. Black with brass accents. Accommodates all 36" banners. All items have a durable powder coat finish. Optional colours may be available upon request.